Reynolds is a versatile photography artist, who has a great eye for nature's beauty. 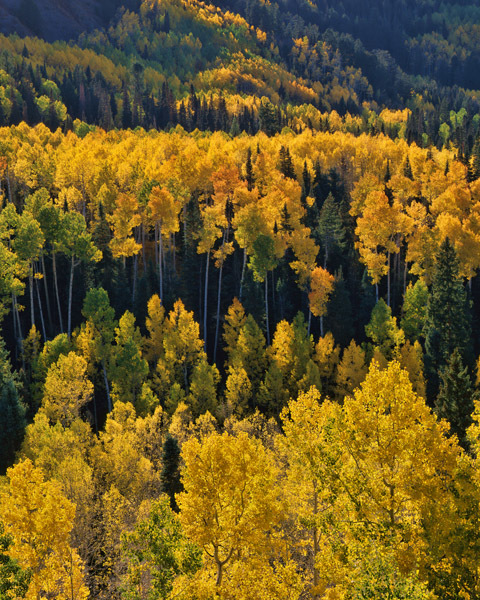 This image is filled with the beautiful golds, amber, and browns that make a forest of aspen trees so breathtaking. This image is a bold statement of nature's glory.